Lee Min Ki! I loved Lee Min Ki! Back in the day when I was just starting kdrama and I was relying on actual dvds on Netflix to watch, I was hooked on his, I Really Really Like You. And I’m happy to say, he’s only got better since then. Yep. Just as I expected, Lee Min Ki has been hiding himself in the military. I remember him being one of those ones who slipped quietly into the night. In the military, he worked as a public service worker. Good news! He was released back in August. Bad news? So, you know how usually actors run into their post military projects? Many of the popular ones, like Lee Min Ki, already have projects lined up before they’re out? He did! It was Tomorrow With You, which as you know, now stars Lee Ji Hoon. So what happened? Turns out, news was released that, while in the military, Lee Min Ki was accuses of sexual assault while at a night club. The charges were later dropped and he was found innocent, but as the news leaked the same time the casting was announced, he backed out for the good of the show. Now, I wonder if he’s holding back, letting everything calm down, or if this news has actually effected his ability to be cast in a project. If that’s the case, I wouldn’t worry too much about it, if Park Shi Ho can make a drama comeback, so can he. 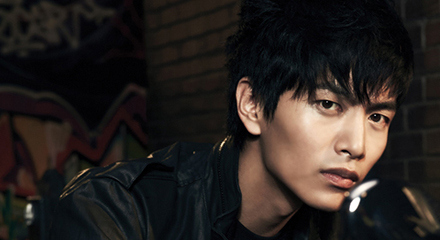 On the other hand, I wouldn’t put it past Lee Min Ki to just be chilling–taking everything super slow. It’s not like before he went he was one of those actors who needed to be working all the time. His last drama was a side character in Shut Up Flower Boy Band in 2014. He did seem to be putting more effort into becoming a movie actor with Monster and Shoot Me In the Heart which was actually released while he was in the military. Huh. So this is the first update I’ve had where I hadn’t just missed what they were currently working on. Whatever is going on with him, I hope he knocks it off and gets back to work already as he is quite the exceptional actor. **If you have anyone you think is MIA and would like to me to investigate, to put my crack investigational skills into finding out what’s happening with them, just let me know! Loving this… I’d say keep up the investigating! I’m happy to hear he was innocent. We didn’t need another Kim Hyun Joong on our hands. LAUGH. I should keep up my crack investigation skills. Usually it’s just Wikipedia but for Lee Min Ki I had to dig a little further. You know, Lee Min Ki heads my herd of imaginary pugs. When I can convince Mr Daisy, we will have a pack of fat black pugs named Min Ki, Mi Na ( after Shin Min Na) and Mabel. Mabel – just because. Well of course Mabel. Seriously. Sadly, I feel like the answer to “What’s Happening with _____?” is almost always, “he had a sexual assault scandal.” Or enlistment. Or a combination of both. But we can have hope that one of these guys will have been off curing cancer in between dramas. There seems to be a rash of this sort of news reports. Makes me a sad bunny. But I’m happy to say yes, he seems to be good here. lee min ki is such a good actor and absolutely would love to see him comeback. He’s in a new drama now, as of October 2017. It’s called “Because This Is My First Life” and even two episodes in, I love it! Just learning about LMK, enjoying his current drama and will check out others. My “whatever happened to…” is focused on Lee Phillip or Phillip Lee. After eye injury while making Faith, he seemingly has dropped out of dramas. Oooh, good one! Off to the Wikipedia mobile! Khottie of the Week: D.O.